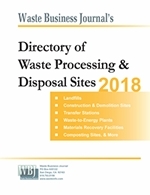 Waste Management, Inc. (NYSE: WMI) today announced preliminary revenue and earnings per diluted share results for the third quarter of 2008. 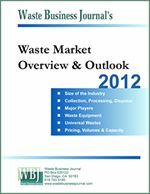 Waste Management expects to report revenues of $3.53 billion, a 3.6% increase compared with the third quarter of 2007. Reported earnings for the third quarter of 2008 are expected to be $0.62 per diluted share, and after adjusting for certain items noted below are expected to be between $0.62 and $0.63 per diluted share. The low end of the range, $0.62 per diluted share, exceeds the Wall Street consensus estimate of $0.60 per diluted share and is a 15% increase over the reported results for the third quarter of 2007 of $0.54 per diluted share, with no net change as a result of adjustments. David P. Steiner, Waste Management's CEO, stated, "Our preliminary third quarter 2008 revenue and earnings per diluted share results reflect the strength of our operations and our continued ability to meet or exceed our financial objectives. We certainly believe that our strong cash flow and our strong balance sheet provide certainty to investors in an uncertain time. In addition, our cash flow and cash receipts continue to be strong. We currently have over $500 million of available cash and liquid investments, all of which are invested in U.S. Government obligations." The Company also announced that it is withdrawing its proposal to acquire all of the outstanding shares of Republic Services, Inc. for $37 per share. Steiner commented, "When we began this process, we said that we would be a disciplined buyer and that we would not risk our strong financial position to acquire Republic. Given the current state of the financial markets, we believe that it would not be prudent to continue to pursue the acquisition of Republic. Our focus will remain where it has always been—on providing strong and stable returns for our investors. Our third quarter results reflect that our actions over the past five years continue to pay off, and this progress will position us well to continue to perform even in an economic downturn." An after-tax benefit of approximately $0.03 to $0.04 per diluted share primarily due to gains from the divestiture of operations. An after-tax reduction of approximately $0.03 per diluted share related to the cost of the labor disruption in the Milwaukee, Wisconsin area including more than a $0.02 per diluted share charge related to that location's bargaining unit agreeing to our proposal to withdraw the bargaining unit from the Teamsters' under-funded Central States pension fund. A tax benefit of approximately $0.03 per diluted share primarily from adjustments required for the finalization of our 2006 tax returns. An after-tax decrease of approximately $0.03 per diluted share primarily related to the cost of the labor disruption in the Oakland, California area. As previously announced, the Company plans to release its full financial results for the third quarter of 2008 prior to the opening of the stock market on October 30, 2008 and will host a conference call that day to discuss in detail the quarter's results. The expected third quarter operating results in this release are preliminary and subject to management and the Company's auditors completing their quarterly closing review procedures. This press release contains a discussion of earnings per diluted share, as adjusted for the items noted herein, which is a non-GAAP measure, as defined in Regulation G of the Securities Exchange Act of 1934, as amended. The Company reports its financial results in compliance with GAAP, but believes that also discussing non-GAAP measures provides investors with (i) additional, meaningful comparisons of current results to prior periods' results by excluding items that the Company does not believe reflect its fundamental business performance and (ii) financial measures the Company uses in the management of its business. we may reduce or permanently eliminate our dividend or share repurchase program or we may need to raise additional capital if cash flows are less than we expect or capital expenditures or acquisition spending are more than we expect, and we may not be able to obtain any needed capital on acceptable terms. Additional information regarding these and/or other factors that could materially affect results and the accuracy of the forward-looking statements contained herein may be found in Part I, Item 1 of the Company's Annual Report on Form 10-K for the year ended December 31, 2007.